I’m sure KFC would love to acquire his services. So, I see we have met Chick Black. 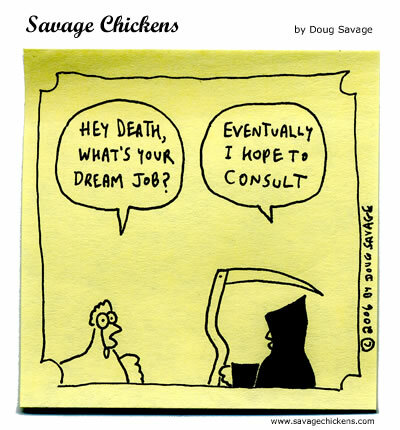 So……..our fates are controlled by a chicken? anyone else wondering what’s a large toucan’s towering over Death for?